@291344208a is it an official server tho? （Azur Lane CHINESE SERVER）,Why I Know it? Because I'm Chinese. Chinese Server Have More character and skin. my friends love to spam this game. 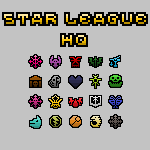 @StarLeagueHQ I'm working on getting on all of the Live2D models uploaded currently, and also trying to rip the portraits, so expect some more stuff soon! These are very nice! I sure hope eventually all of them are gonna get added. I'm definitely gonna play around with this resource in the meanwhile. What's with all these KanColle ripoffs showing up? Email me to zero7sprites@gmail.com for requests thank you.